In addition, a 2012 study by Cox, et al. noted that most Malagasy people can trace their mtDNA back to 30 Indonesian women who made up the founding population of Madagascar. Given the fact that Southeast Asian Y-DNA was also found among the Malagasy, it is assumed that there were also some Indonesian men among this group of women. These women went on to have children with the Indonesian men present as well as men from Africa. 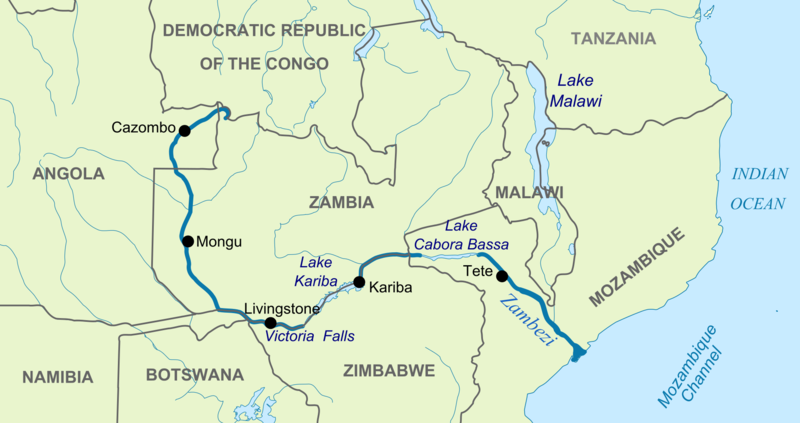 Later migrations from Africa also included Southeast African Bantu mtDNA haplogroups from north of the Zambezi River. In 2013, Melanie Capredon et al. also discussed the Arab-Islamic contribution to the Malagasy gene pool as a result of Indian Ocean slave trade. Madagascar was part of both the global trade in slaves in both the Indian and Atlantic Oceans. The Indian Ocean slave trade existed before European colonization and even before the emergence of Islam in the 7th and 8th centuries. It saw Malagasy slaves taken to the Mascarene Islands, the Seychelles, Comoros Islands, East Africa, the Arabian Peninsula, Persian Gulf, and India. 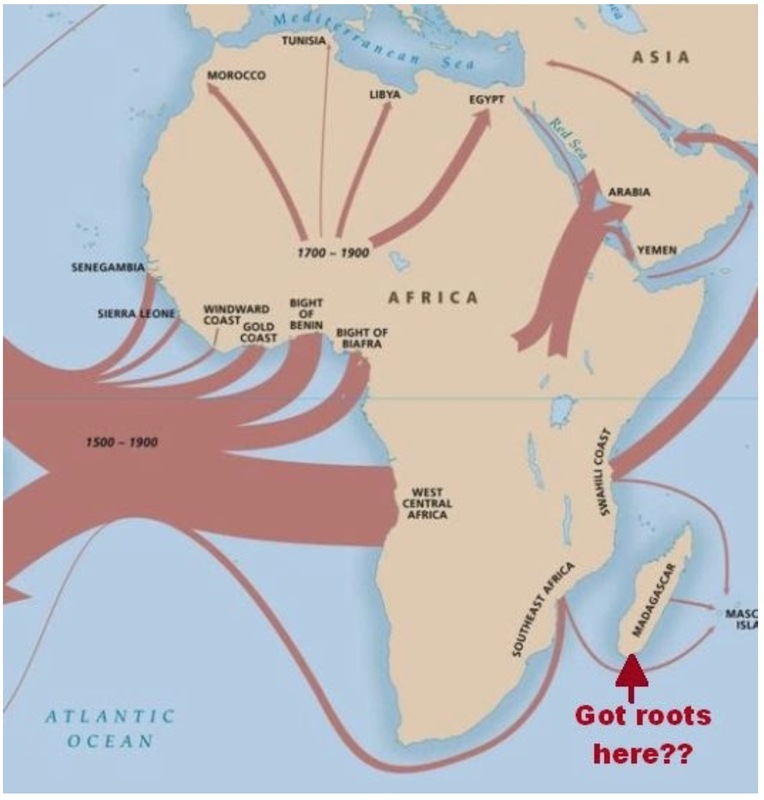 The European-driven Indo-Atlantic slave trade began in the 16th century. The Portuguese, Dutch , French, British and Americans brought Malagasy slaves to the shores of South Africa, St. Helena’s Island, Brazil and other South American countries, the Caribbean, especially Jamaica and Barbados, and North America. It should be noted that both slave trades were facilitated in part by different Malagasy ethnic groups who engaged in the selling of slaves to outsiders in exchange for arms and material goods. As a result of both slave trades— and later as free immigrants— Malagasy DNA spread around the globe. Over two years ago, my cousin Andrea and I decided to take the 23andme DNA test. We were desperate to find more information about our Thompson family history and felt that a DNA test would provide us with more clues. I knew beforehand that my mtDNA was European as my maternal 2nd great-grandmother was a first generation Irish-American. However, Andrea and I were excited to see what her mtDNA would be because she was a matrilineal descendant of our shared 2nd great-grandmother, Laura Thompson Green, while I was not. Well, imagine our surprise when her mtDNA came back M23, a haplogroup that is only found in Madagascar. We were shocked as this was totally unexpected. It seems that our Malagasy ancestors came to the New York City/New Jersey area between 1678-98 or 1716-21. The knowledge that our 2nd great-grandmother had matrilineal ancestry that traced back to Madagascar necessitated that we do further research. Several questions came to mind. Did our Malagasy ancestry still show up in our genes? When did our Malagasy ancestors arrive in the States, specifically NY/NJ? Why did slave traders go to Madagascar to procure slaves? We can trace our Malagasy ancestry back to our 5th great-grandmother, Jane Pickett, who was born a slave in NJ or NY around 1775. Her daughter was Tun, also a slave born around 1790 in Tappan, NY, according to a 1860 census record, though she may have also been born in NJ. Both Jane and Tun were born slaves and eventually worked as house servants in their later years. 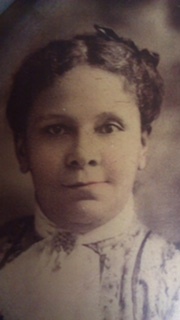 Tun had a daughter named Susan Pickett, our third great-grandmother, who was born in Morris County, NJ in 1809. Susan was born under The Gradual Emancipation Act and thus had to serve her master for 21 years. We don’t know who her father was, but Susan is listed as being “mulatto.” Once freed, Susan married our third great-grandfather, Cato Thompson. Susan and Cato had six children. Their children were Richard, Thomas, Jacob, Laura, Mary, and Catherine. My three maternal siblings, my aunt Helen, my first cousin, and I are the descendants of Laura’s son Richard. Andrea, her mother Mildred, uncle Robert, brother, and daughter are the descendants of Laura’s daughter Goldie. My cousin Yvonne and her grandson are the descendants of Laura’s son Stewart. My cousin Helen is a descendant of Laura’s sister Mary and my cousin Lillian is a descendant of Laura’s sister Catherine. As of today, we have had 15 descendants of Susan Pickett DNA tested, of whom six have mtDNA M23. Having so many relatives DNA tested allows us to see how Malagasy ancestry is passed down generationally. 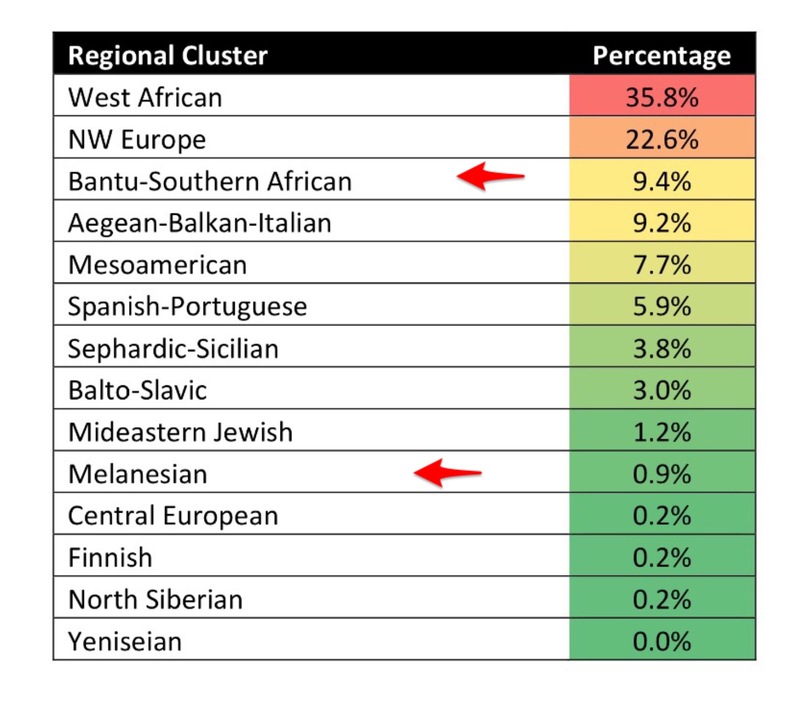 According to 23andme, all of us have ethnic admixture, in varying amounts, from Southeast Asia, Central and South Africa, and/or East Africa, South Asia and Oceania. Those cousins who are matrilineal descendants of our shared M23 ancestors do show higher amounts in these admixture areas. 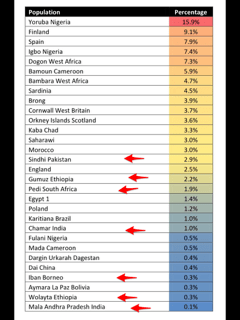 While I don’t think any DNA test can tell you with 100% certainty what your admixture is, I do believe that they can provide clues about your ethnicity especially when combined with knowledge of local and family history. 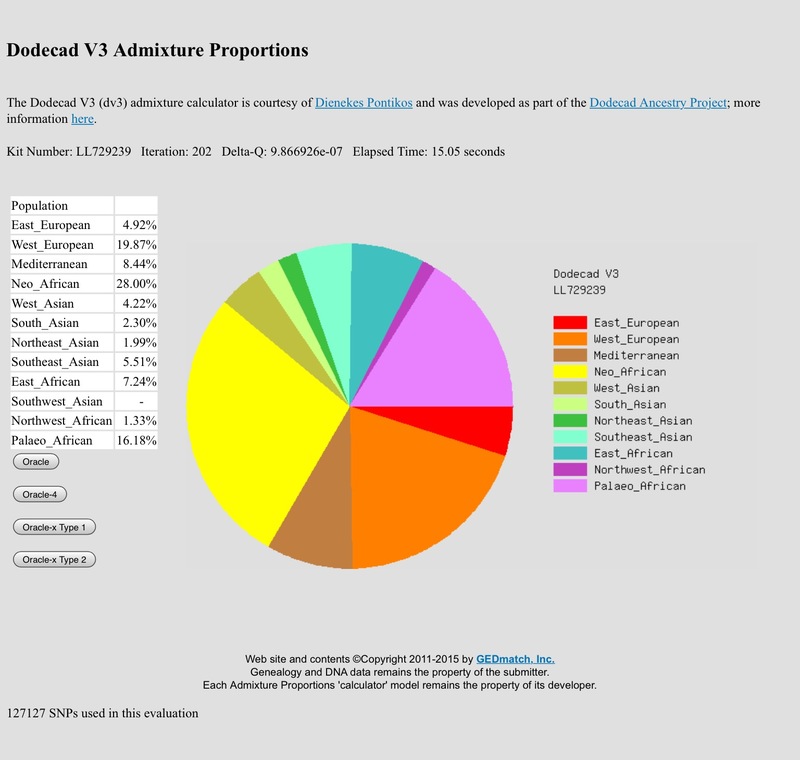 Please note that I have previously blogged about my own admixture tests. 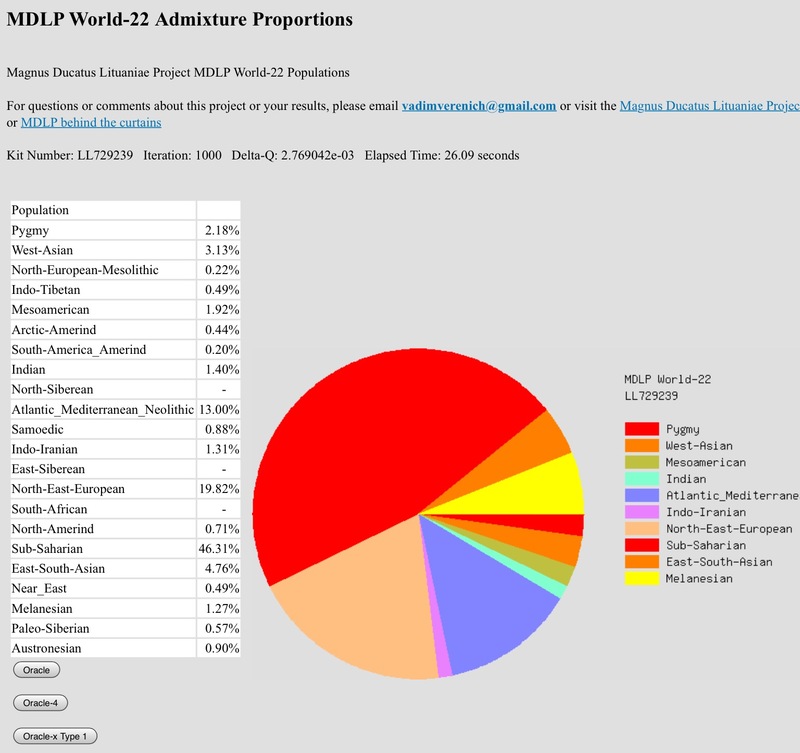 In this blog post I will be mainly discussing my relatives’ admixture results. 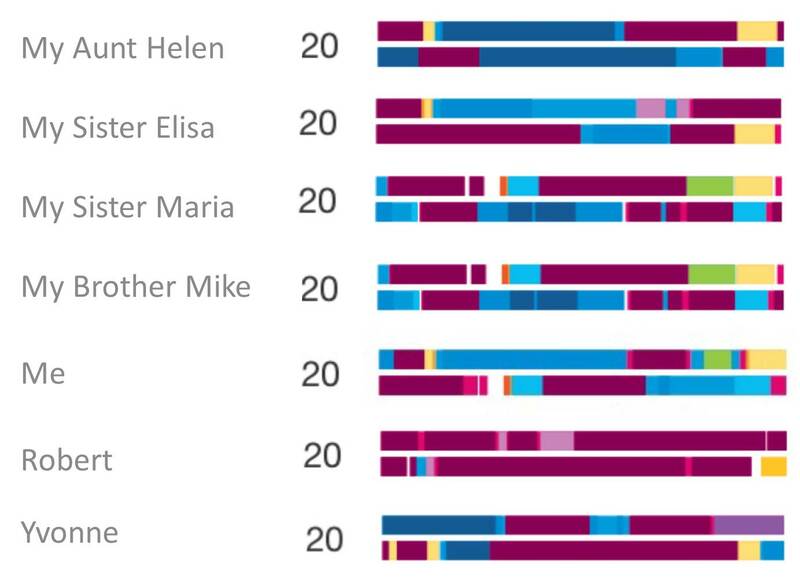 Here are the 23andme Ancestry Composition results of my cousins Helen, Mildred, and Robert. You can clearly see the indicators of Malagasy ancestry. As a comparison, here are the Ancestry Compositions for my aunt Helen and cousin Lillian. 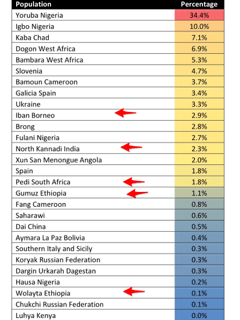 As you can see, their admixture is from the same areas, but in lesser amounts. 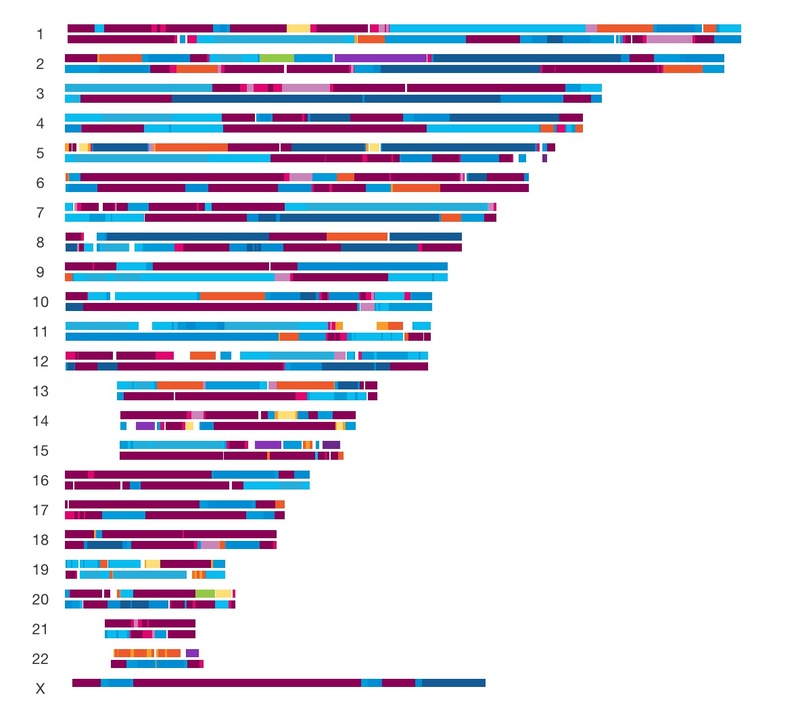 A look at the X chromosomes of Mildred, Robert, Lillian and Helen also show how our Southeast Asian ancestry (in yellow) has been passed down from our Malagasy ancestors. All four are the descendants of all three of Susan Pickett’s daughters—Laura (Mildred and Robert), Mary (Helen), and Catherine (Lillian). In addition to testing at 23andme, my cousins Mildred and Andrea, aunt Helen, and sister Elisa also had a DNA Tribes SNP Analysis done in 2013. Again, the Malagasy indicators tend to be Southeast Asia, Central and South Africa, and/or East Africa, South Asia and Oceania. 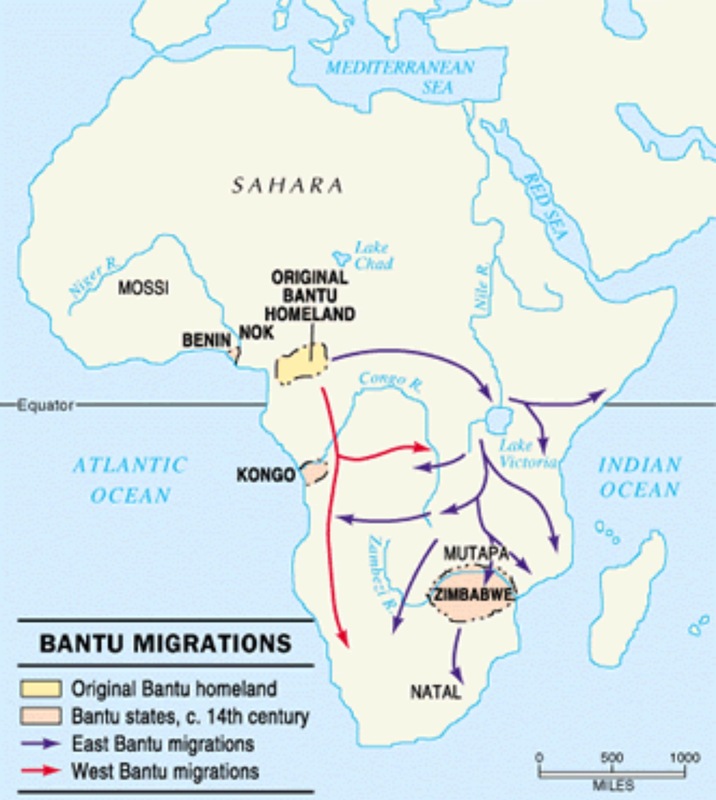 Please note that Bantu, Pedi, and Nguni are all Bantu-speaking groups that were part of the Bantu expansion. 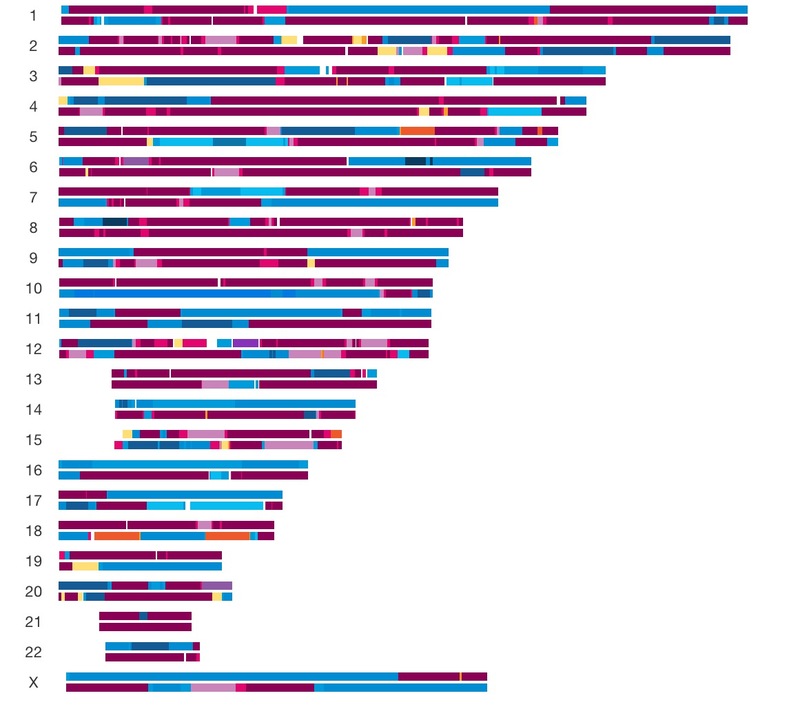 On chromosome 20, you can see how our Malagasy DNA, represented by our Southeast Asian admixture in yellow, has been inherited by the same ancestor. 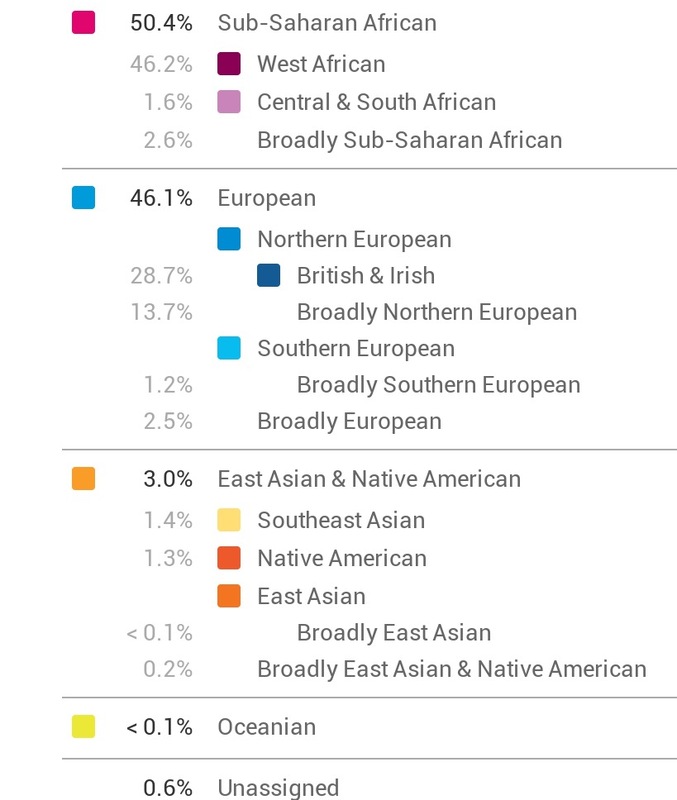 My family’s Malagasy (M23) ancestry is separate from our Native American ancestry. I make note of this because there have been claims made that haplogroup M was found in North America, and thus was Native American, based on a 2007 article that has since been debunked. 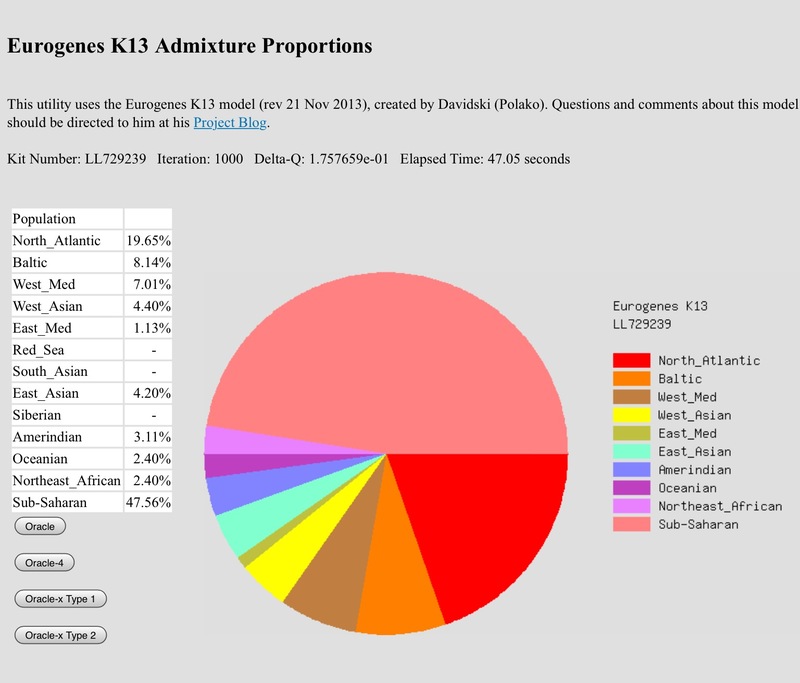 I have written two prior blog posts on M23 and other M subclade haplogroups that mention how I disagree with this assessment and provide comments from well-known genetic genealogists and mtDNA experts about the M haplogroup. 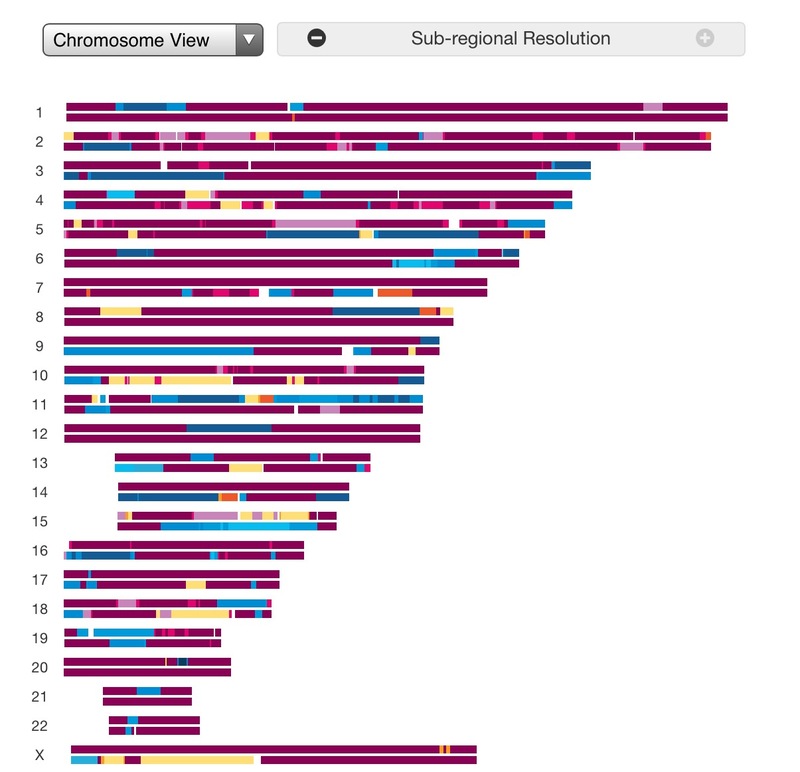 In the chromosomal view below, you can see how the Southeast Asian admixture (in yellow) is separate from our Native American admixture (in orange). As it relates to my discussion of my family’s Malagasy ancestry in my next blog post, Esther J. Lee et al. note in their article “MtDNA Origins of an Enslaved Labor Force From the 18th century Schuyler Flatts Burial Ground in Colonial Albany, NY: Africans, Native Americans, and Malagasy?,” “individuals identified as haplogroup M7 and M resemble lineages found in Madagascar. Historical documents suggest several hundred people were imported from Madagascar through illegal trading to New York by the end of the 17th century. ” Though Lee had access to the now debunked 2007 article, she rightly acknowledges that the M7 haplogroup is found in East Asia, Southeast Asia and Madagascar. It is so important, as the Lee article shows, to look at local historical events to see how individuals with M haplogroups may have arrived in the Americas via the slave trade and who are NOT Native American. I should also note that African-Americans, with the help of DNA tests, are now discovering their Malagasy ancestry. For example, my 98-year old cousin Helen has 5 DNA cousin matches with Malagasy ancestry from Madagascar, South Africa, and France on her 23andme DNA Relatives List and many of my family members have DNA cousins with known Malagasy haplogroups. Likewise, my friend Melvin Collier has written an excellent blog post on finding and confirming his Malagasy ancestry via a Malagasy DNA cousin. As a result of these Malagasy ancestral discoveries, there is a now a Malagasy Roots Project at FTDNA that seeks to connect African-Americans with their Malagasy DNA cousins. I have been asked repeatedly how one can tell if they have Malagasy ancestry in the absence of a known Malagasy mtDNA or Y-DNA. 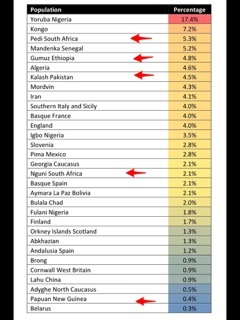 One of the ways is to take an autosomal DNA test from any of the three major testing companies — 23andme (highly recommended as you also get your haplogroups), AncestryDNA, or FTDNA Autosomal Family Finder— and then upload the results to Gedmatch, a free site, where you can run additional admixture calculators. Based on my family’s known Malagasy ancestry, I feel confident enough to state that Malagasy indicators are Southeast Asia, Central and South Africa, and/or East Africa, South Asia and Oceania. It is crucial to realize that it is a combination of all these admixtures that may indicate Malagasy ancestry. Just having Southeast Asian, South African, East African ancestry or any one individual admixture is not enough to indicate Malagasy ancestry. I would also mention that one should research the local history/area where your ancestors resided. Slaves from Madagascar were known to have been imported into Boston, New York/NJ, and Virginia. However, there were many Malagasy slaves who may have arrived in the States via the Caribbean, Brazil, Europe, India, as well as a host of other countries. Many Malagasy also came to this country as free immigrants. In essence, you need to really do your research. Some additional things to do would be to also have other relatives tested to confirm your Malagasy ancestry as well as to check your Gedmatch One-To-Many list to see if your DNA cousins have a Malagasy haplogroup. If you you have Malagasy ancestry or have a Malagasy haplogroup, either mtDNA or Y-DNA, please consider taking a FTDNA FS mtDNA test or Y-37 DNA test and joining FTDNA’s Malagasy Roots Project. 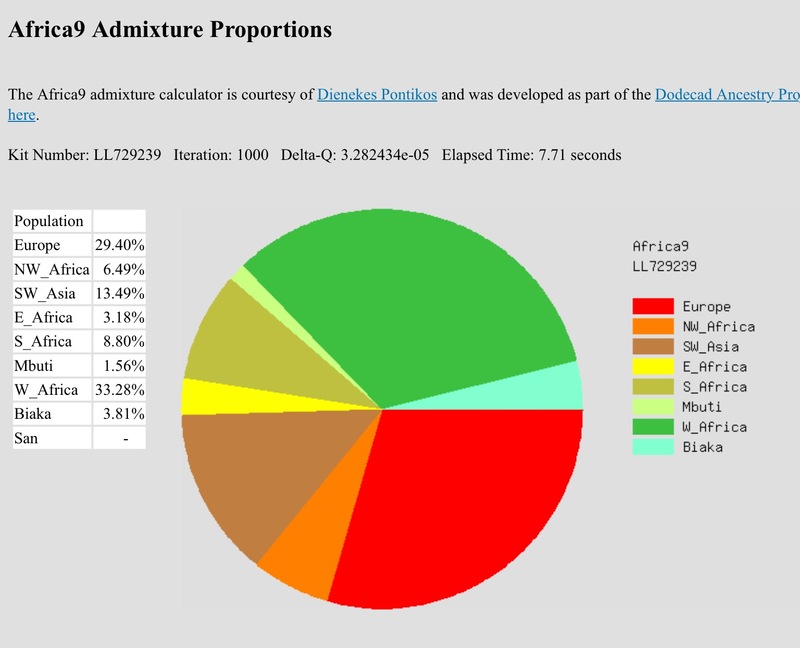 Below are some of Gedmatch admixture calculators that I use to detect indicators of Malagasy ancestry. I am going to use my mother Joyce as an example because you can easily see her Malagasy admixture indicators. 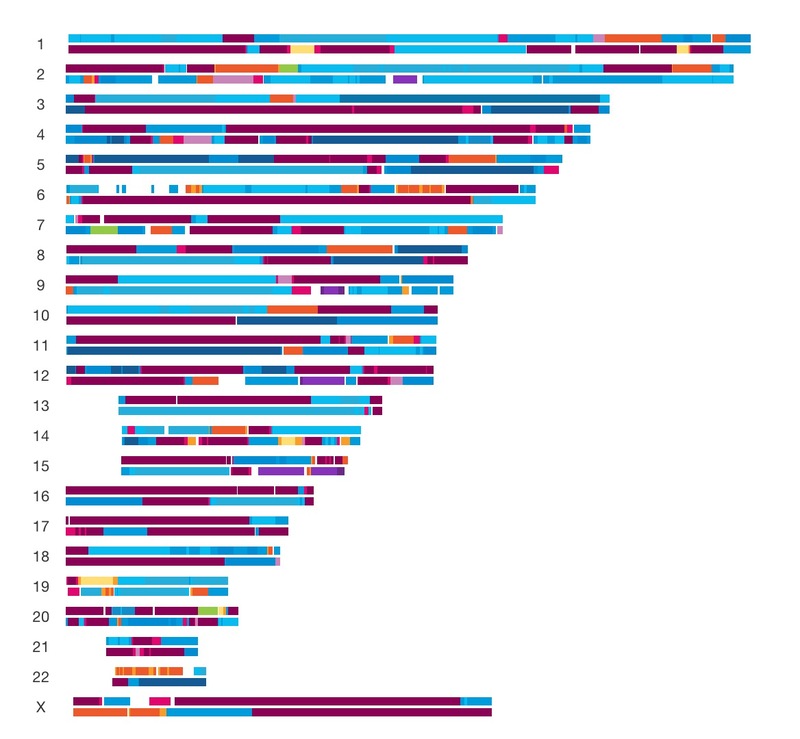 Plus, I think it is really cool to use a Gedmatch Lazarus recreated genome based on her four children, sister, niece and a host of 2nd and 3rd cousins. 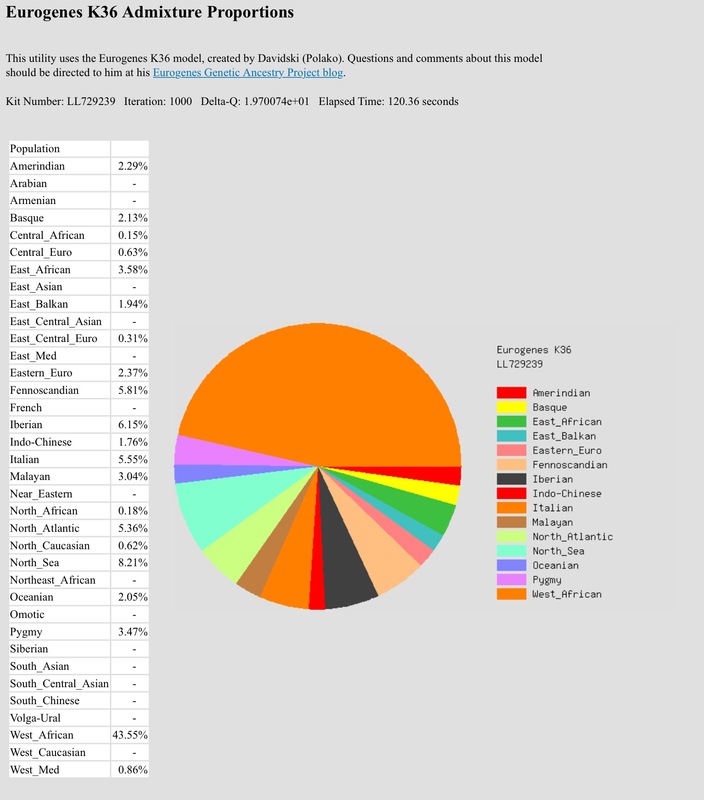 For the record, I use the following Gedmatch admixture calculators: MDLP-World 22, MDLP-K23b, Dodecad v3, Dodecad World9, Dodecad Africa9 (to detect South African and East African ancestry), Eurogenes K13, Eurogenes K36, and HarappaWorld. 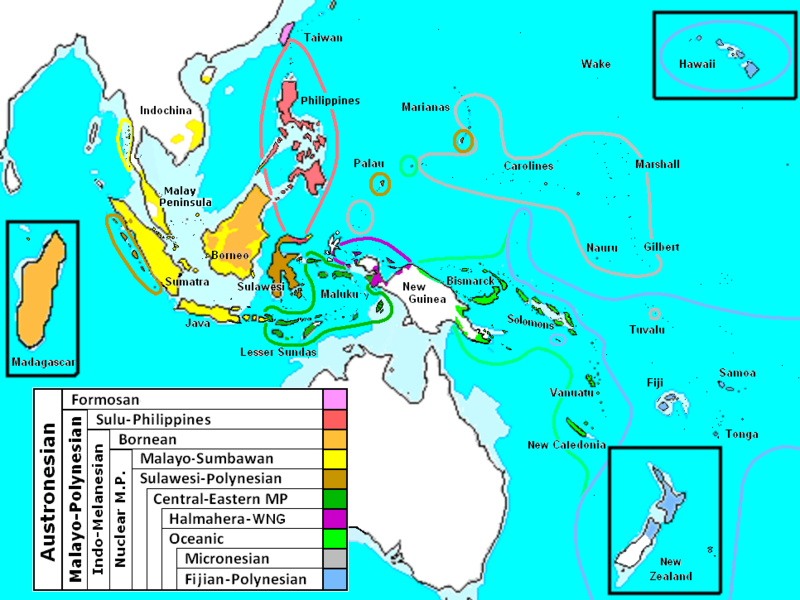 Most of these calculators detect Southeast, Oceanian, Austronesian, South Asian, Melanesian/Polynesian, Papuan, Malayan, South African, and East African admixture. Disclaimer: Please note that the list below has some of the haplogroups found in Madagascar that come from several scientific studies (see references below). The nomenclature of these haplogroups may have changed since the articles were written. Also, if you have taken a 23andme test, their v4 chip may not give a definitive haplogroup assignment. For example, I am H1 on 23andme since I tested with their v3 chip, however, my siblings are just H since they tested with the v4 chip. Likewise, some folks who are B4a1a1b may show up as only B4a1a1 on 23andme. Note these haplogroups can be found in other places as well. There are only two haplogroups that I know for sure that are found only in Madagascar and they are M23 and B4a1a1a haplogroup subclades. I am by no means an expert on mtDNA or Y-DNA, but I think this list is valuable to those seeking more answers on their Malagasy ancestry. These haplogroups are mentioned in the journal article Genomic Landscape of Human Diversity Across Madagascar. The article can be found here: http://www.pnas.org/content/early/2017/07/11/1704906114 . Update on 1/12/2015: I am again responding to a new blog post written by Robert Estes on 1/5/2015. 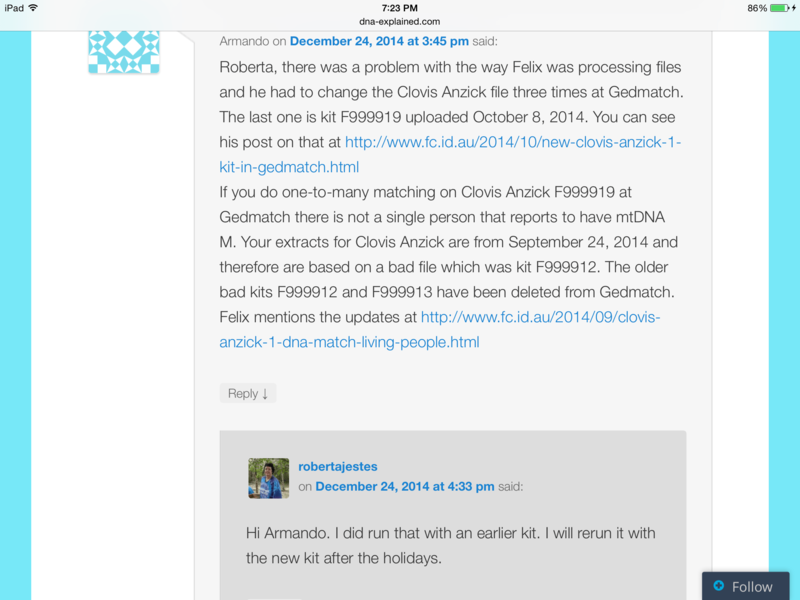 Her post Anzick Matching Update is her admission that she used an old Gedmatch kit number for her Clovis Anzick research protocol. 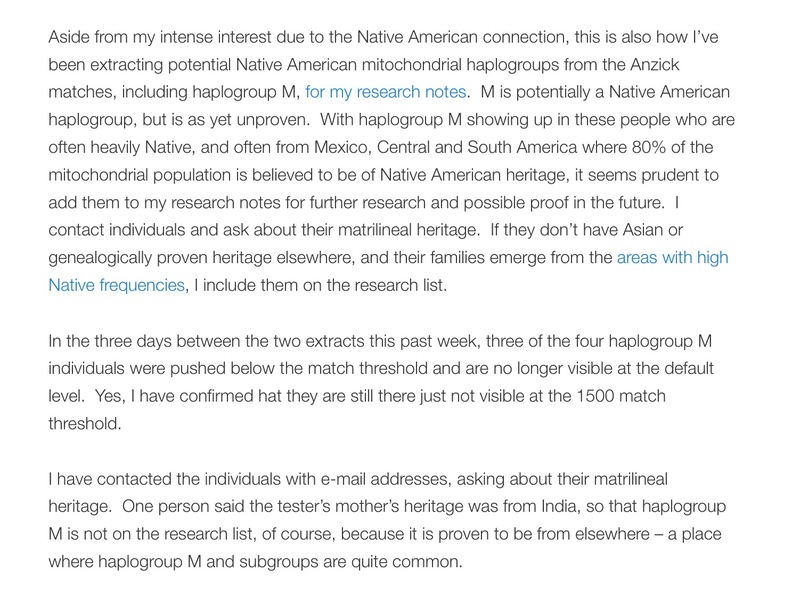 In this post, she again reiterates her methodology as well as her justification for including the M haplogroup on her list all the while ignoring the facts. The facts are below. She has also failed to answer any of my questions so I have also listed them below. 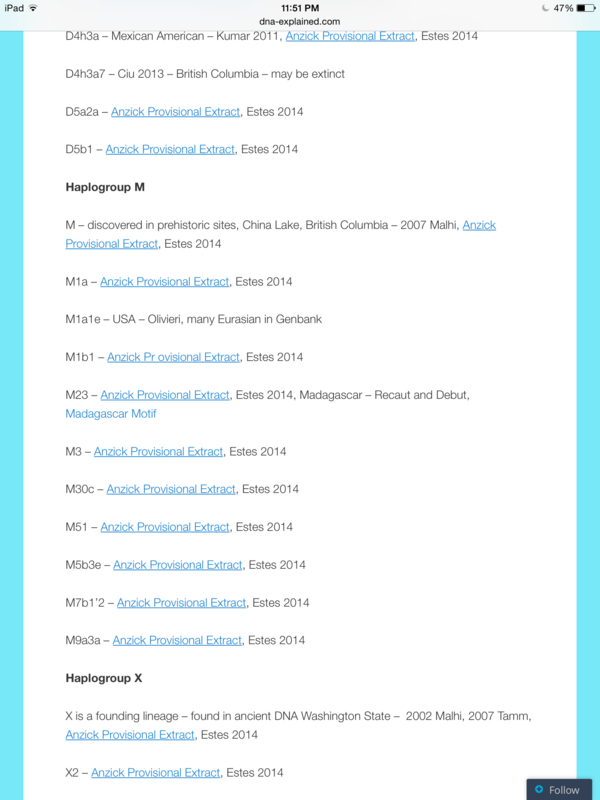 1) It is unwise to compare mtDNA haplogroup assignments to autosomal DNA. The main reason is that we are talking about two different types of DNA. Extrapolating mtDNA info from living people who have multiple ethnic admixtures and then comparing to an ancient Native American sample is seriously flawed. One can, in fact, match an ancient Native American, like Clovis, and have a non-Native American DNA. 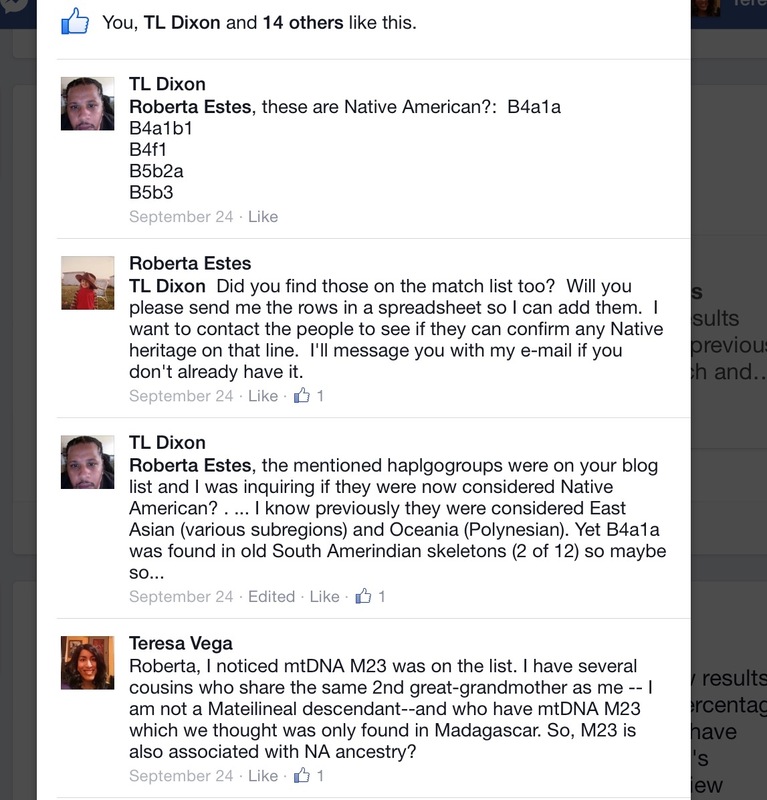 Roberta somehow conveniently misses the fact that on the F999919 Clovis Gedmatch One-To-Many list, there were a lot of people who matched Clovis who did not have a Native American haplogroup. Why did she not include these matches on her New Native American Haplogroup list? Was it because they are well-known non-Native American haplogroups? Is her continued inclusion of the some of M haplogroup subclades her attempt to discover something new? Why does she assume that just because someone matches a Native American autosomally that this means that they automatically have a Native American mtDNA? 2) The 2007 article she references has been brought into question by several known genetic genealogists, who are also experts in mtDNA analysis, like Ann Turner, Ugo Pereto, James Lick, Claudio Bravi and others. The M sample was not fully sequenced and was more likely to be an X haplogroup upon further analysis. I may not be an expert in genetic genealogy, but I certainly reached out to some of the best before I even wrote my posts. How come Roberta has not commented on their responses which I have reported in my blog posts? 3) Her continued inclusion of M subclade haplogroups on her Native American Haplogroup list, all the while maintaining that M has not been proven to be Native American, is very misleading and disingenuous because it gives people the false impression that they are Native American haplogroups. Lay readers will just look at the headline and make that assumption without reading the small print. Why is Roberta ignoring the fact that her posts are misleading? 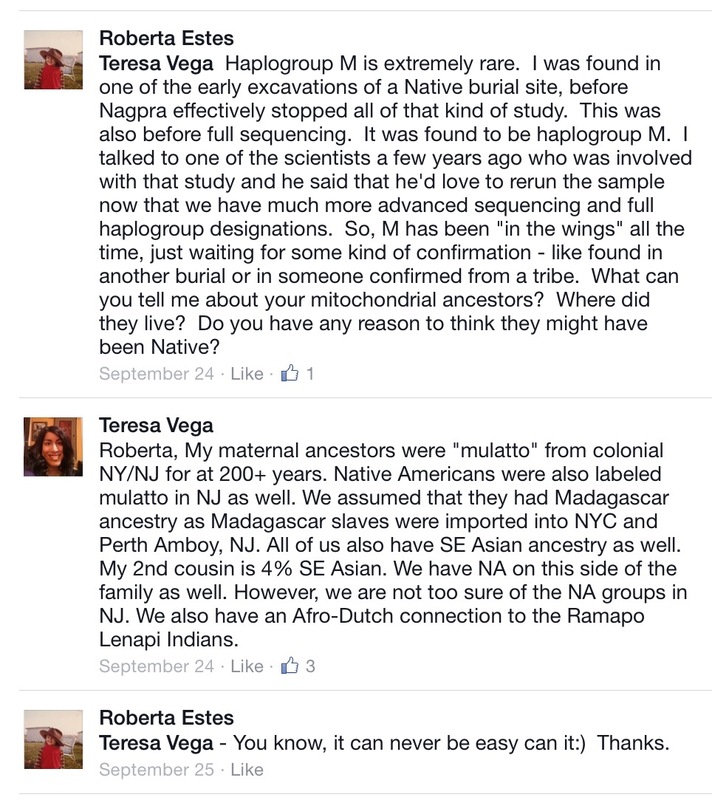 Is it really enough to justify the inclusion of M haplogroup, without a shred of evidence, just because she can? Should one even publish “research notes” that are not based on current data/facts? These are questions my inquiring mind would like to know. However, Roberta has failed to answer any of my legitimate questions for months so I don’t see her changing her modus operandi today. This is what has led me to write my posts in the first place. Update on 12/24/2014: I felt the need to share this with my readers. 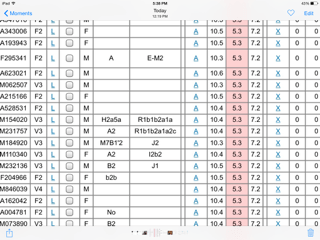 I was just made aware of the fact that Roberta Estes admitted today that she ran her initial results using one of the older Clovis Anzick Gedmatch kits numbers. As a result, the methodology she used calls into question her whole research protocol. I am taking her admission below that what I wrote in this blog post is correct. 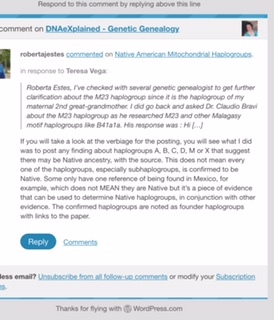 I did not address the other M subclades that were mentioned in Roberta Estes “New Native American Mitochondrial Haplogroup” list in my last blog post because it focused specifically on M23. 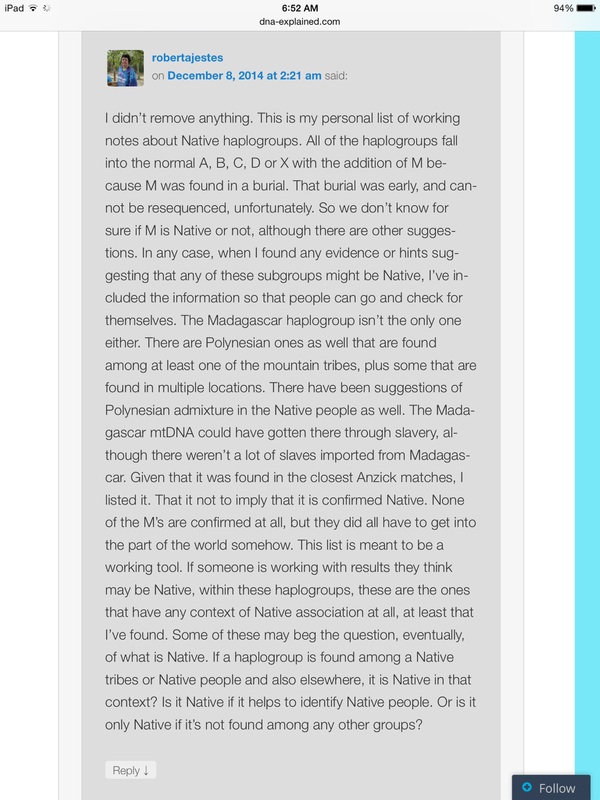 This blog post, however, seeks to do just that because I really don’t want the public to be misled into thinking that these other M subclades are, in fact, Native American as well. Given the stature that Roberta Estes has in the genetic genealogy community, I would really like to see her to remove these M subclades from her working hypothesis. The facts just don’t add up to them being Native American at all. I tried to replicate how Roberta Estes did her research to come up with her inclusion of the M haplogroup subclades in her hypothesis. 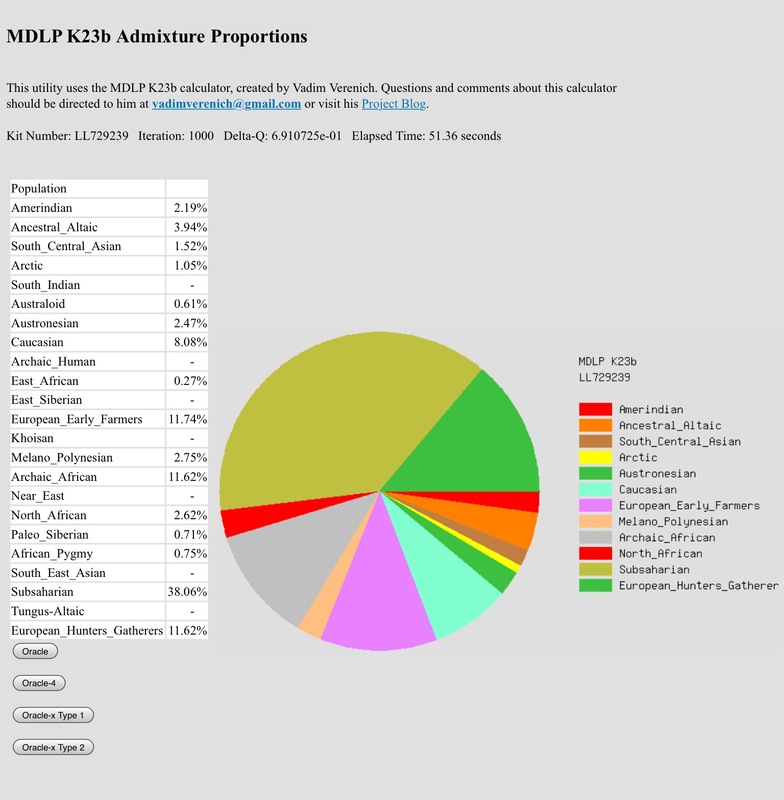 I went back and looked at all the Clovis matches to see what M haplogroup subclades showed up and if they matched the ones Roberta mentioned on her blog (M1a, M1a1e, M1b1, M23, M3, M30c, M51, M5b3e, M7b1’2, M9a3a/M9a1ac1a). In order to accomplish this, I repeated the steps Roberta used to make her hypothesis. This meant bringing up the One-to-Many matches of the last known Gedmatch kit number we have for Clovis Anzick (F999919) and looking at the mtDNAs of the Clovis matches. When I reduced the cM level to 1 cM, I was able to pull up 1500 matches. 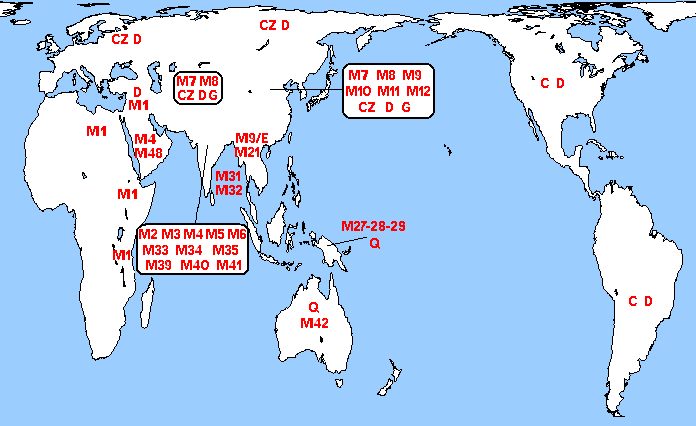 However, only one had a M subclade of M7b1’2. I did not find any indication of any of the others she mentioned. I can only assume that Roberta used a previous version of the Clovis DNA profile. I know there were several as I matched the first Clovis DNA profile on Gedmatch, sharing 20 cMs with 7 cM as the largest segment, but did not match later Clovis DNA profiles. If this is in fact the case, than I believe Roberta should have taken this new Clovis match info into account when she updated her list on 12/7/2014. As I mentioned in my previous post, the macro-haplogroup M covers a wide geographical area. I looked up the geographical locations of each M subclade Roberta mentioned and found that they were not Native American or were out of the timeframe to be relevant for any comparison to Clovis Anzick. 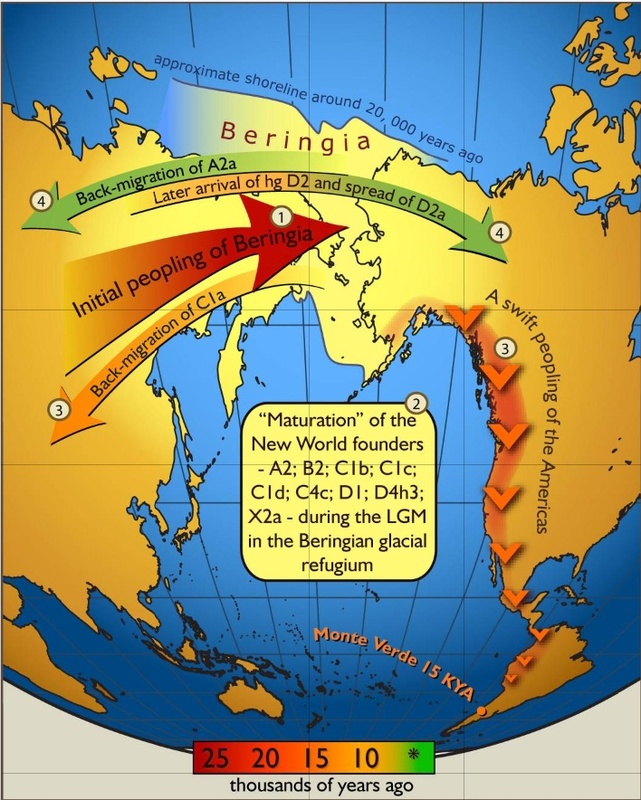 For example, M9a1a1c1a (formerly M9a3a), though geographical close– if you consider Siberia– to being Native American is dated by Behar to be 4221.4 years +/- 3456 old and therefore is nowhere near the 13,000-15,000 age range of Clovis. M9a3a ( now known as M9a1a1c1a)- Japan, Siberia, Tibet, China, and Mongolia. Both Dr. Turner and Dr. Perego believe that the M sample the article was based on most likely tested false positive for M when it was probably an X sample. Again, the M sample was never fully sequenced as Roberta herself acknowledges. We need to remember that individuals today have complex, multiple ancestries that may not be reflected in their mtDNA. I am one such person. 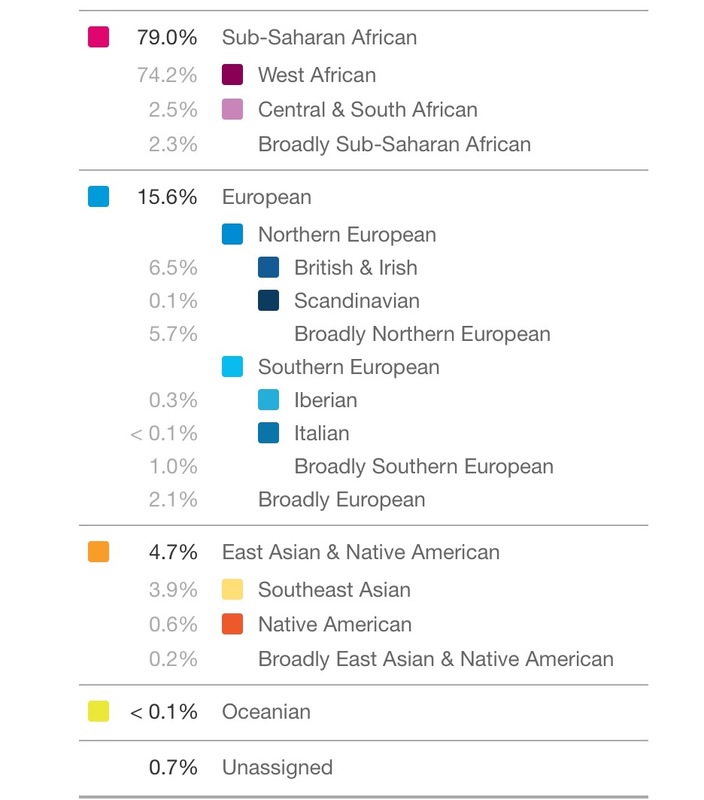 I consider myself culturally African-American and Puerto Rican and my ethnic admixture is tri-racial (46% Sub-Saharan African, 46% European, and 8% Native American). But, when you look at my H1ag1 mtDNA, it is European. I am a perfect example of why it is so difficult to make vast, overarching conclusions about my mtDNA without knowing all the colors of my autosomal rainbow…The same holds true for all the other Clovis Anzick matches—who also had non-Native American haplgroups like E, L, H, T, U, J and K,—who did not make her list either. 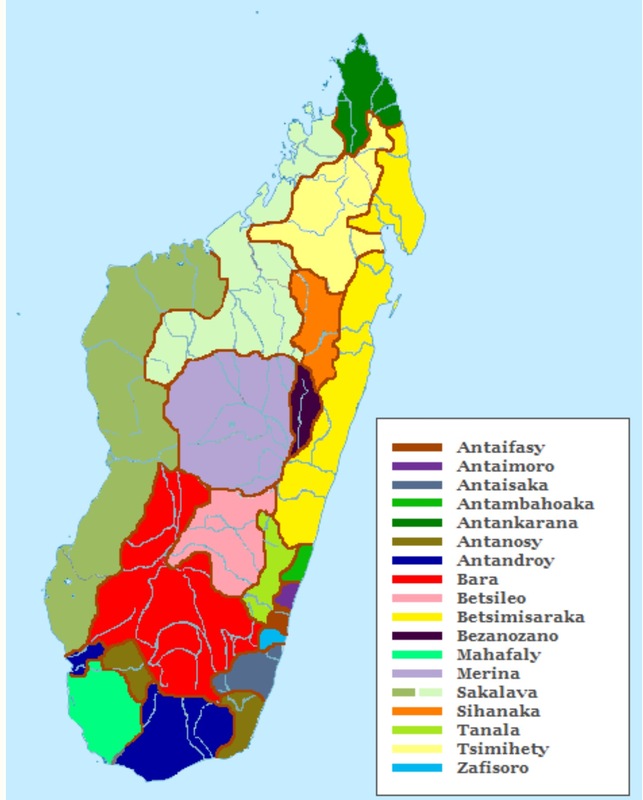 This was not the first post that I wanted to write on Madagascar, the land of my ancestors, but I felt it necessary to do so. In the future, I will be writing about my Malagasy ancestors and how they ended up in colonial NY and NJ. 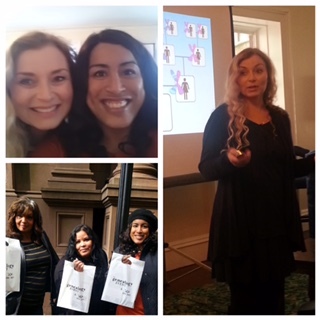 In early October, I attended The Genealogy Event in NYC that featured a lot of well-known genetic genealogists, including CeCe Moore. In her talk about what goes on behind the scenes of PBS’s Finding Your Roots, she discussed Ben Jealous’s Malagasy mtDNA and how slave ships directly imported Malagasy slaves into VA. I immediately, and proudly, told her that I, too, was a descendant of Malagasy slaves directly imported into NYC/NJ in the late 1600s-early 1700s. Ever since my cousin Andrea, a direct matrilineal descendant of our shared 2nd great-grandmother, found out her mtDNA was M23, the two of us have researched everything Madagascar. Surely, we both felt the call of our ancestors. Basically, in finding our mtDNA M23 ancestors, we felt our ancestors calling out to us—-telling us to speak for them, urging us to tell the world about how they arrived in NYC as slaves, under what conditions they lived and labored in NY/NJ, etc. In all of my blog posts, I have tried to do my best to appease our ancestors. How can we not listen to them? So, when CeCe asked me to be the Co-Administrator of FTDNA’s new Malagasy Roots Project, I happily accepted. My mama didn’t raise no fool. Besides, I firmly believe that my ancestors would be a little annoyed with me if I hadn’t accepted the position. And we can’t let that happen. No, we can’t. 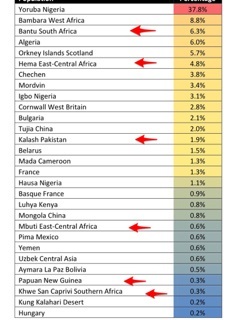 As a descendant of Madagascar slaves brought to this country, I am particularly disturbed to see M23, a haplogroup found only in Madagascar, be placed under the rubric of “New Native American Mitochondrial Haplogroups” by Roberta Estes, a person who is well-known in the field of genetic genealogy. In no way, shape, or form, do I want people to be misled into thinking that this haplogroup has anything to do with it being a Native American one. Her hypothesis goes against current literature on M23. As a result of several of her recent blog posts, I have included references to the Malagasy origins of M23 at the end of this blog post. 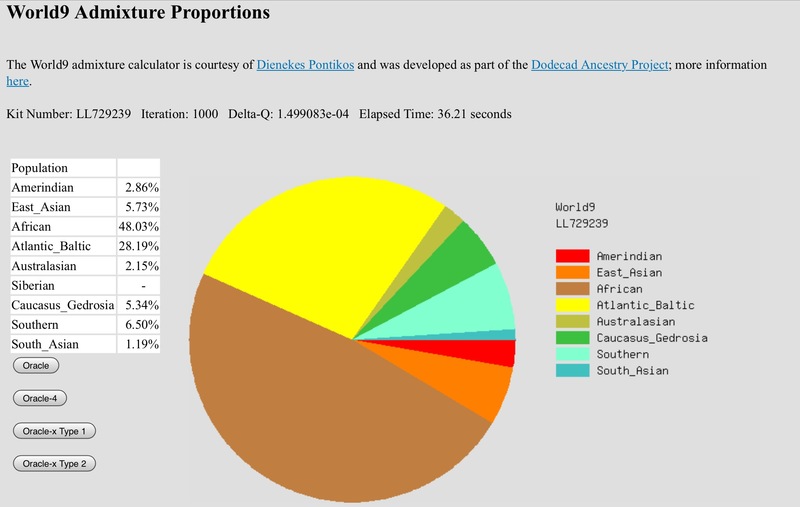 On September 18, 2014, Roberta posted “Native American Mitochondrial Haplogroups” on her blog, DNAeXplained-Genetic Genealogy. These known Native American founder haplogroups were A,B,C,D, and X. I had no problem with her designation of these haplogroups as being Native American ones, as there is enough literature to back up her claim and I was already aware of those Native American haplogroups. 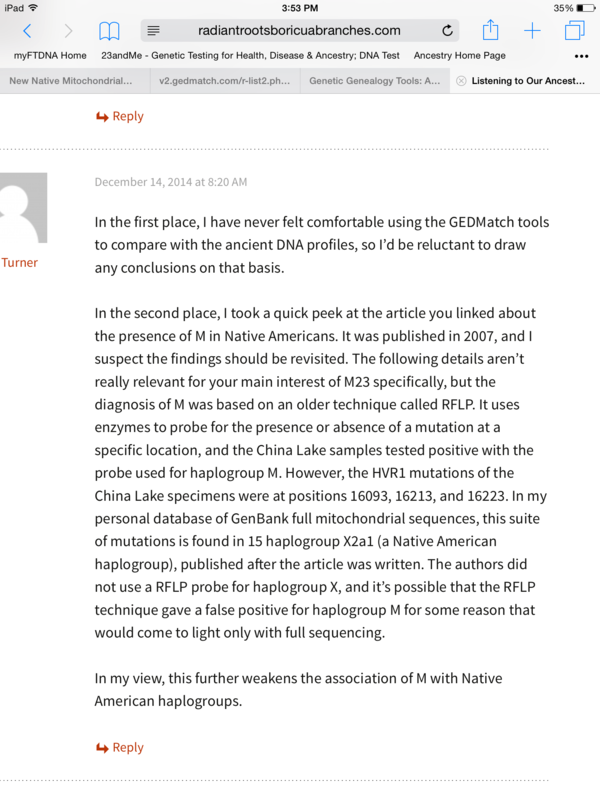 To be honest, I only read the beginning of her blog post back on Sept. 18th which didn’t mention haplogroup M.
Even the haplogroup diagram, at the beginning of her blog post, made no mention of haplogroup M.
It was only further down her blog post, when she listed all the Native American haplgroups alphabetically, that I now see mention of the M haplogroup. 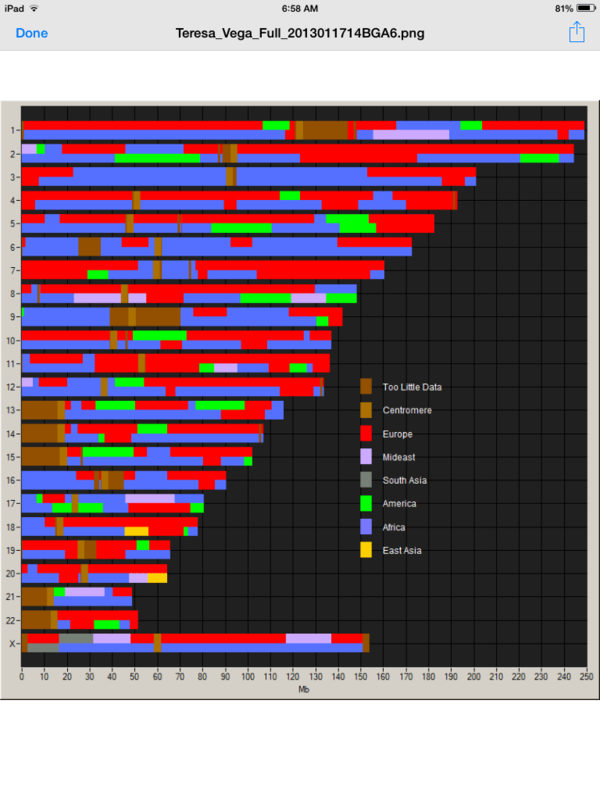 Another one of Roberta’s blog post on September 24,2014 caught my eye with the title “New Native Mitochondrial DNA Haplogroups Extrapolated from Anzick Match Results.” The methodology she seems to have used was to take the autosomal matches of living people from Gedmatch’s One-to-Many list who matched the ancient DNA of Clovis Anzick, look at the mtDNA of those matches, and then automatically deem them Native American. “Given that, and given the autosomal ethnicity analysis of several individuals, and given that mitochondrial haplogroups A, B, C, and D are not known to be routinely found in the European population, I decided to extract all of the associated mitochondrial DNA haplogroups. Furthermore, parts of haplogroup X are known to be Native, and haplogroup M, which is quite rare, has long been suspected, but unproven. We found repeated instances of many mitochondrial haplogroups not previously identified as Native. In fact, with the exception of a couple subgroups of the M and X haplogroups, all of the Native haplogroups were found repeatedly in these samples. Second, it doesn’t necessarily follow that because someone matches Clovis Anzick autosomally that their mtDNA is a Native American given. For example, I have mtDNA H1ag1 which is a European mtDNA, however, when the first Clovis Anzick matches came in, I matched Clovis Anzick at just over 7 cMs. 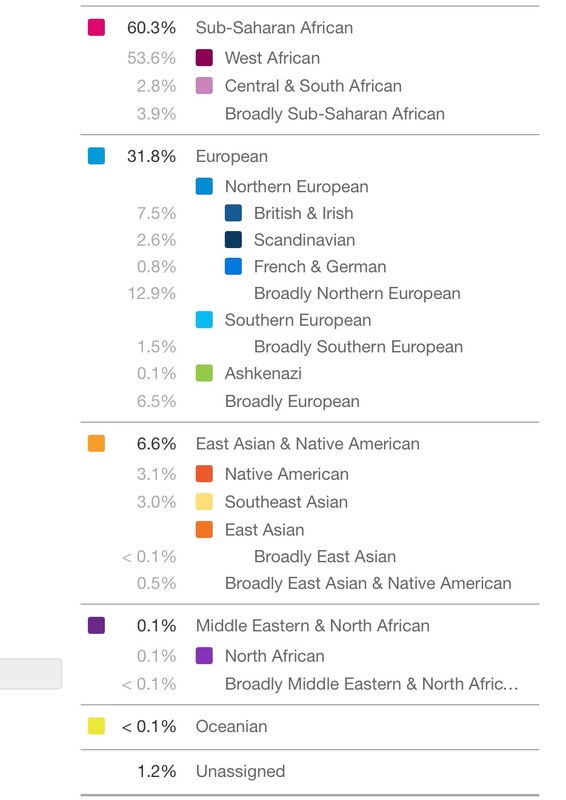 Likewise, someone with mtDNA M23, like anyone of my 5 DNA tested M23 cousins, could have Native American ancestry from a completely different source other than their mtDNA. Her hypothesis just doesn’t add up. 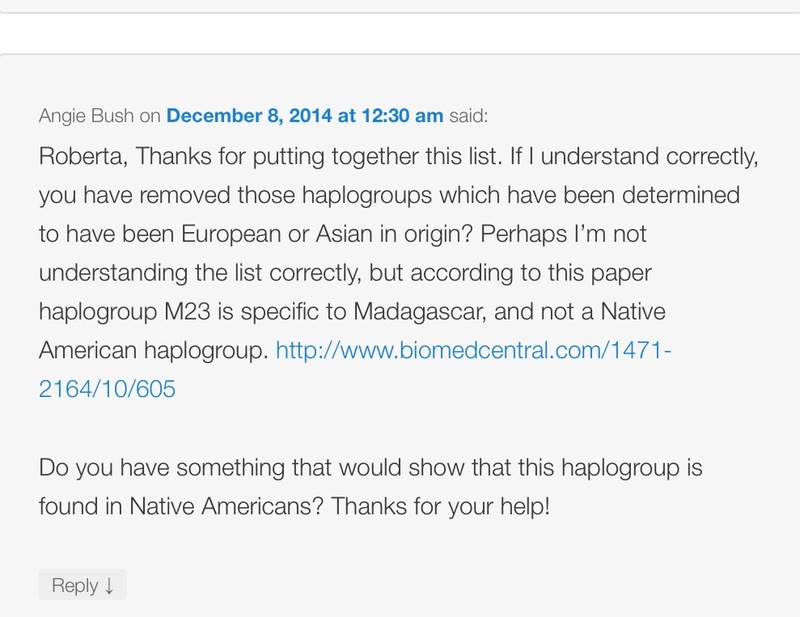 Besides, Roberta herself mentions over and over again that haplogroup M has not been proven to be Native American. 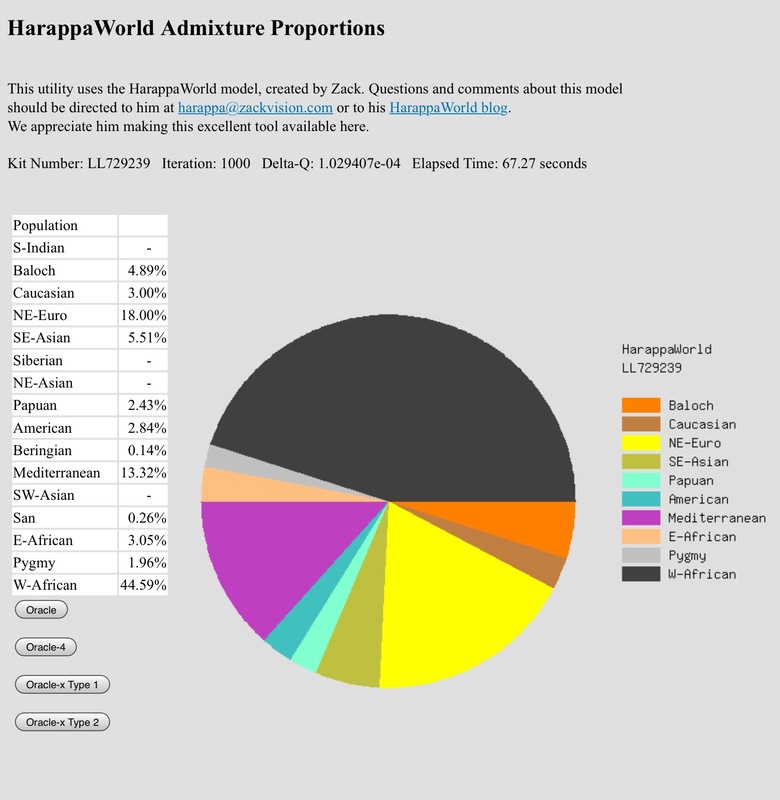 In fact, there is also a great body of research about the East Asian to East African geographical distribution of haplogroup M.
The same day that Roberta published her blog post on “Native American Mitochondrial Haplogroups,” she also crossed posted it in the Facebook Group, Native American Ancestry Explorer:DNA, Genetics, Genealogy, and Anthropology. I immediately posted a comment indicated that I thought M23 was only found in Madagascar and I asked her if M23 was now associated with being Native American. I must admit I was a little taken back because her inclusion of M23 as a Native American haplogroup went against everything I have read about M23—-that M23 is only found in Madagascar. What I gleaned from her response was that she included haplogroup M on her list because M was found in a Native burial BEFORE Full Sequencing of that mtDNA. I still am not sure if she was referring to haplogroup M in general, or M23 in particular, but anyone who has taken a Full Sequence mtDNA test knows that this test is the most definitive test regarding a person’s mtDNA. Again, how can you include haplogroup M on a Native American Mitochondrial Haplogroup list if the one sample referred to has not been fully sequenced? What if the sample was a mistake or was related to a different subgroup? Roberta herself states that she spoke to a scientist who would have loved to have more full-sequencing and more advanced haplogroup designations. At the same time, she also states that haplogroup M is “waiting in the wings” for more confirmation that it is a Native American haplogroup???? Roberta then asked me if my mtDNA ancestors had Native American ancestry. As you can see, I clearly pointed out that my M23 ancestors were “mulatto”, a classification that also included Native Americans. 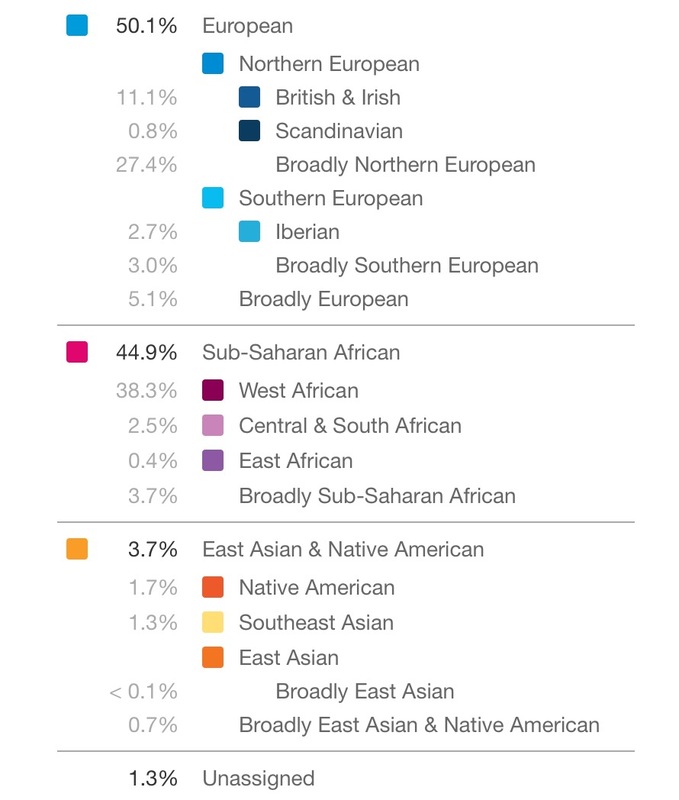 However, I thought I was clear in differentiating between my M23 Madagascar ancestry and the fact that my family also has Native American ancestry that comes from a different source. As you can see, her response back to me was just a ” You know, it can never be easy, can it 🙂 Thanks.” I decided to let the matter rest a few months ago. I just discussed her position among friends and let it go. In retrospect, I should have been more adamant in questioning her. I just didn’t hear my ancestors calling out to me then. Not hearing them was a big mistake on my part! Early this past Sunday, December 7th, when I logged onto FB and checked the Native American Ancestry group posts, I then noticed Roberta had updated her “Native American Mitochondrial Haplogroup” list and I immediately felt déjàvu. But, this time, I heard my ancestors calling out to me LOUD and CLEAR to set the record straight. So, I immediately responded back to her. As you can see, I was more to the point and asked her directly if she was saying that M23 was not a Malagasy haplogroup, but was a Native American one. I even attached a well-known, accepted, and peer reviewed article indicating the Madagascar origins of M23. Up until that day, she only listed her own blog post as a reference for M23. 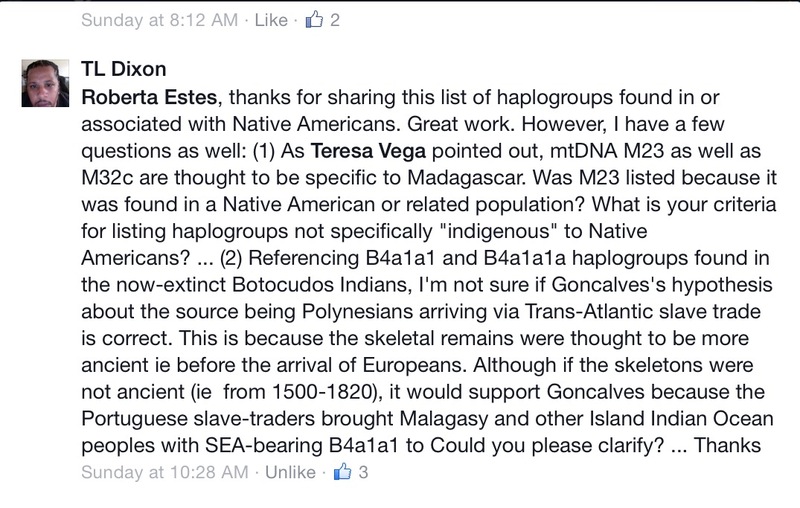 My response was followed by TL Dixon asking her more pointed questions, as he had also done last September, not only about M23, but also about other haplogroup subclades also found in Madagascar, like B41a1a. In addition, later on Sunday, I started reaching out to genetic genealogists like CeCe Moore and Claudio Bravi, who has been analyzing Native American haplogroups since 1993, as well as James Lick, asking them about the origins of M23. They all agreed that M23 was only found in Madagascar, a fact I already knew. Somehow, I wanted a confirmation from others before I wrote this blog post. After reading her response, I went back to her blog and re-read it. I also started reading the responses to her “Native American Mitochondrial Haplogroup” posting. 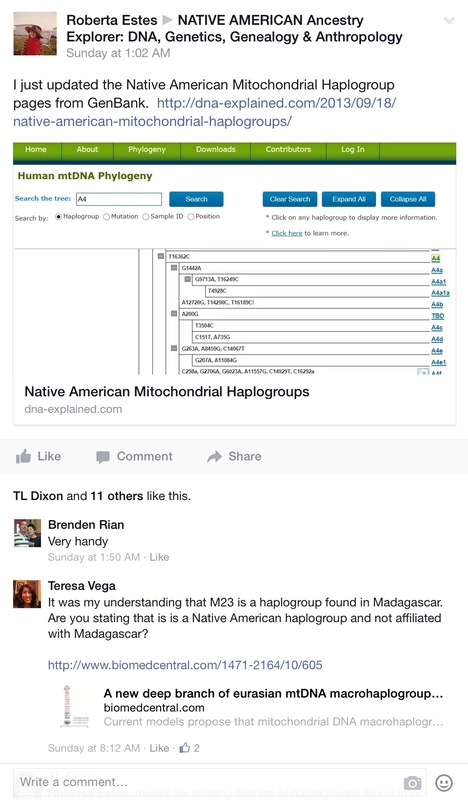 I was happy to see that on Monday, December 8th, Angie Bush, a well-known molecular genealogist, also stated that M23 had a Madagascar origin and she also posted the link to the same article I had made reference to a day earlier in the Native American Ancestry Explorer FB Group. Roberta finally linked the article on M23 having Madagascar origins after Angie referenced it to her. She now indicated M23 as being a “Madagascar Motif” when it is in fact the Madagascar haplogroup unquestionably. Angie also let Roberta know about the FTDNA Malagasy Roots Project as well. That being said, I still find it highly problematic that Roberta still links her “Anzick Provisional Extract”, along with the peer reviewed article that Angie and I both referenced to her, to the M23 haplogroup on her “Native American Mitochondrial Haplogroup” list. 1) How does one arbitrarily decide to designate mtDNA haplogroups as Native American based on autosomal DNA comparisons to an ancient DNA sample—with some comparisons at very small segments? 2) How does one initially ignore a body of literature about the Madagascar origins of M23 and, after finally acknowledging its origins, still decide to link it to being a “potential” Native American haplogroup? 3) Why insist on repeatedly stating that haplgroup M isn’t proven to be a Native American haplogroup, but still link certain subclade M haplogroups to them being “possible” Native American haplogroups? 4) How does one attempt to publish a hypothesis on “New Native American Mitochondrial Haplogroups” without the hypothesis being analytically challenged and peer reviewed? 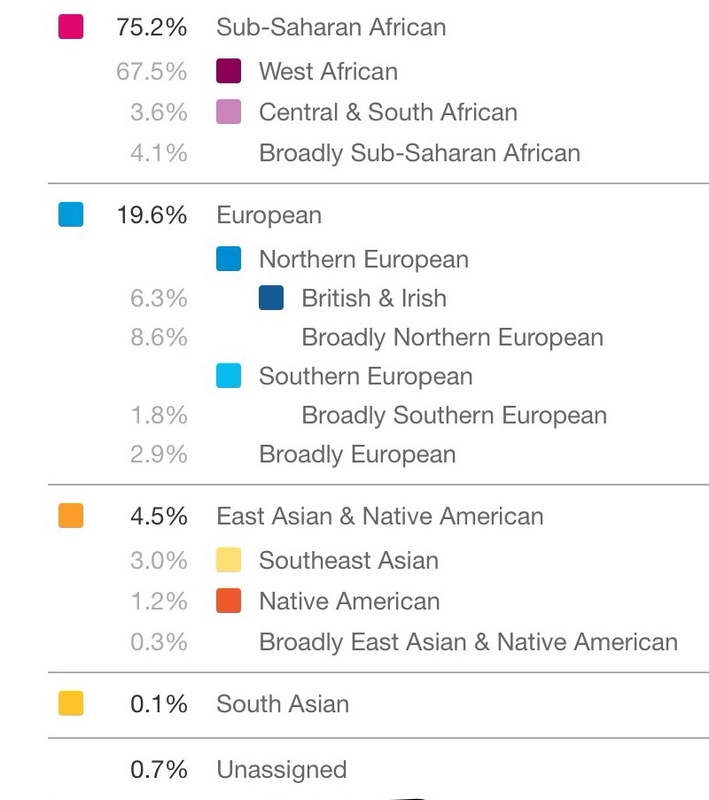 As a genealogy/DNA blogger and speaker and, as someone who is also tri-racial, my obligation is to correct the misinformation out there, pinpoint inaccurate statements automatically assumed to be facts, and elucidate the flawed analyses/methodologies that I come across as they relate to my own genealogy/family research. I want information out in the public realm that is reliable as it is true. I don’t know the answers to these questions. But, what I do know is that the M23 haplogroup is not a “Native American Mitochondrial Haplogroup.” My M23 mtDNA ancestors called me out and told me so. So, I am now telling the world. If you have any of the Malagasy mtDNA or Y-DNA haplgroups below, please consider taking a FTDNA Full Sequence mtDNA test or a Y-37 DNA test and then join the Malagasy Roots Project. Please click on the title link below for more details. Background: The people of Madagascar have a fascinating history embedded in their DNA. 17 known slave ships came from Madagascar to North America during the Transatlantic Slave Trade. As a result, we find Malagasy DNA in the African American descendants of enslaved people, often of Southeast Asian origin. One of the goals of this project is to discover the Malagasy roots of African Americans and connect them with their cousins from Madagascar.